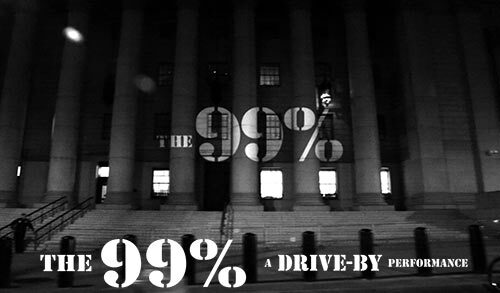 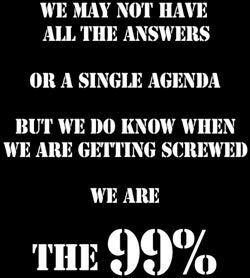 The 99% is a subsection of the "Protest" series of installations/performances/videos featuring footage shot at Occupy Wall St. protests. 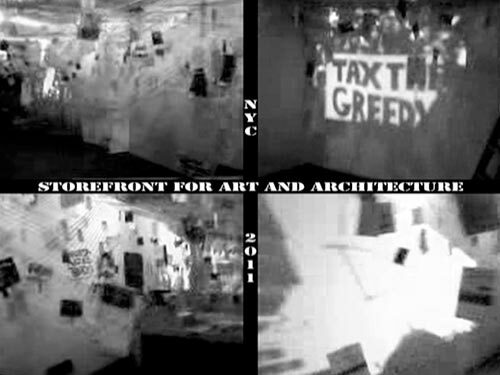 Each protest produced a semi-animated documentation of the protestors, their signage and their interractions with the NYPD. 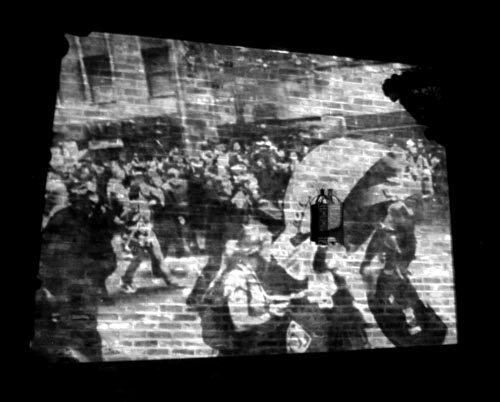 The videos concentrate on the pagentry of protest, the graphic nature of the placcards and signs, the police branded vehicles and such, along with the cacophony of the protest chants and police sirens and loudhailer demands. 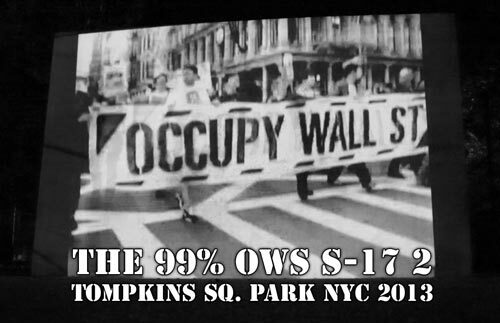 Presented in many different forms, with multiple channel video projections, audio and performance elements, street interventions and interactive installations, The 99% is an insider view of this protest movement and the passion of the Occupy Wall St participants.